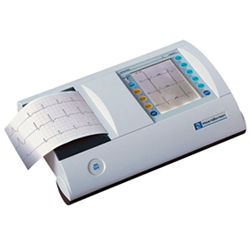 ECG files can be viewed in the patient record: Torex, Vision, EMIS, iSOFT, SystmOne, Microtest, etc. Cable between PC and ECG is a robust RS232 generic cable and can be supplied with a USB adaptor. Please note MediSafe supplies the cable at any length at no additional charge. One year warranty - inclusive of a guaranteed replacement unit within 48 Hours or an engineer on-site.